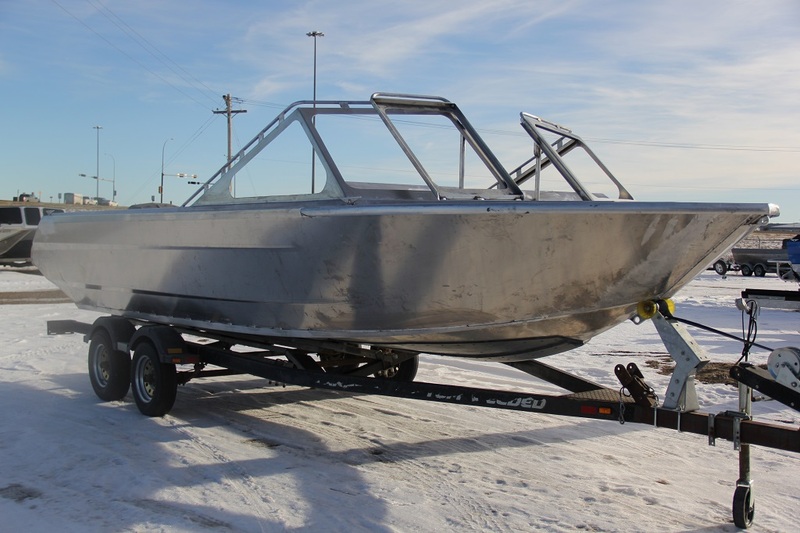 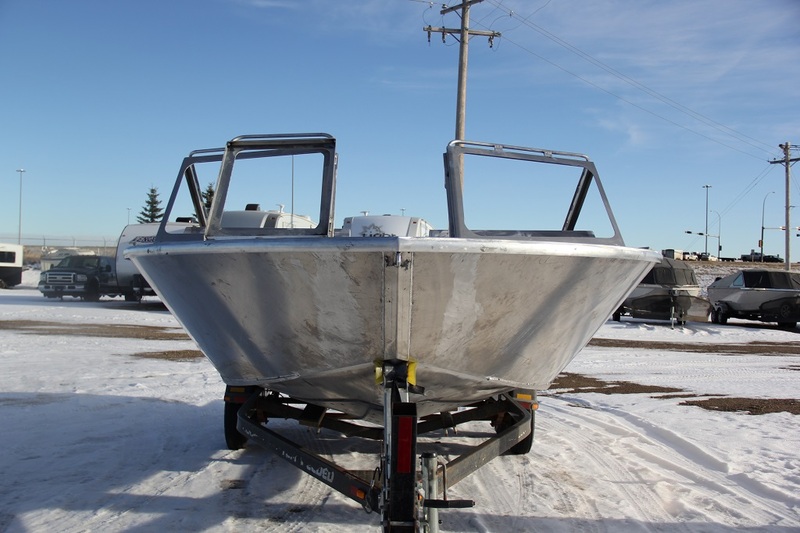 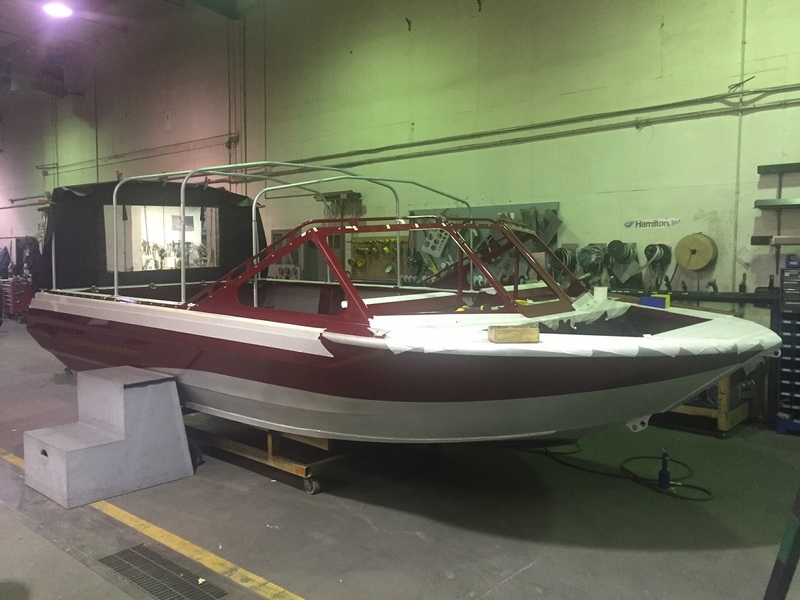 Over the past couple weeks here in the design and fabrication shop we have been building a new 20' Muskwa XW "Extra Wide" model. 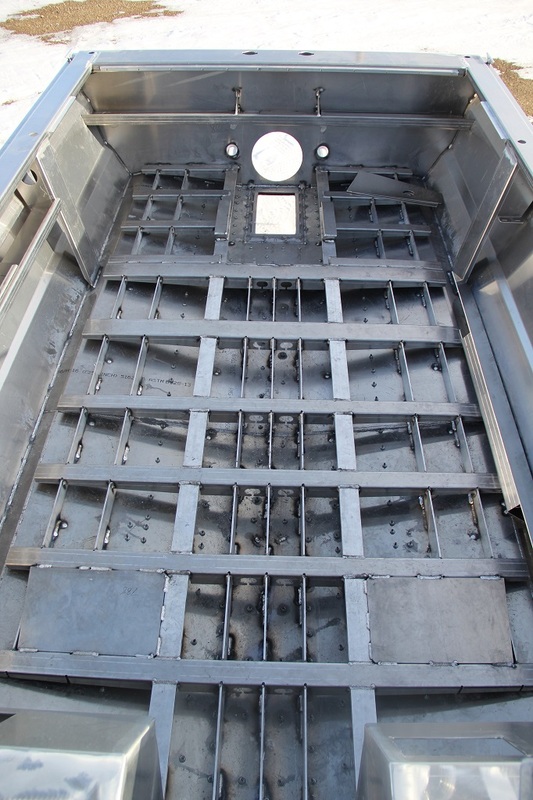 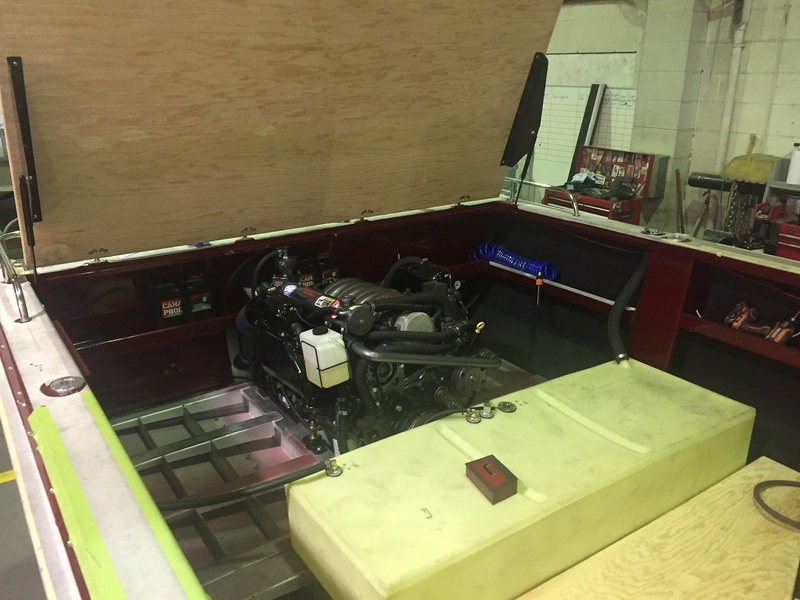 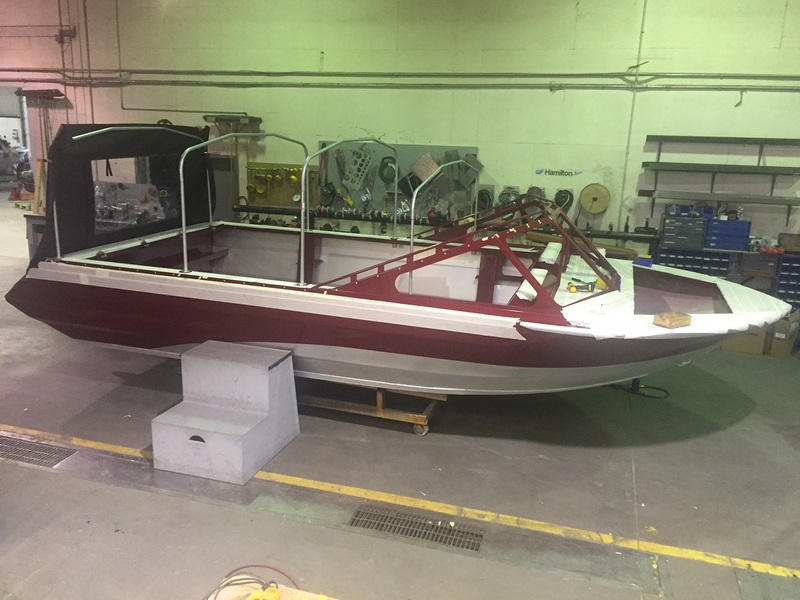 This boat has a 84" (7 foot) wide bottom and a 9 foot beam. 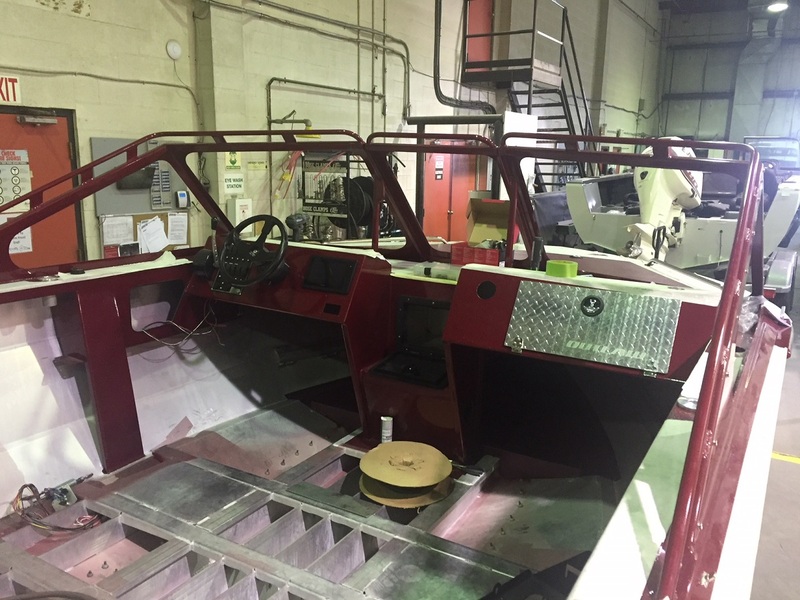 Tons of interior space and a huge footprint in the water with its 8 degree hull will it will draft very little water, and run real shallow. 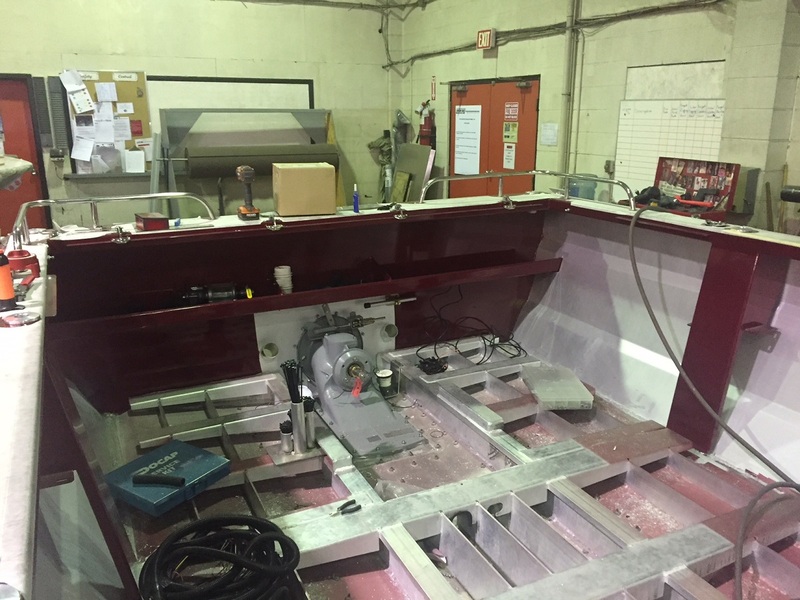 The UHMW and clean up is all finished and she is headed to the prep and paint shop. 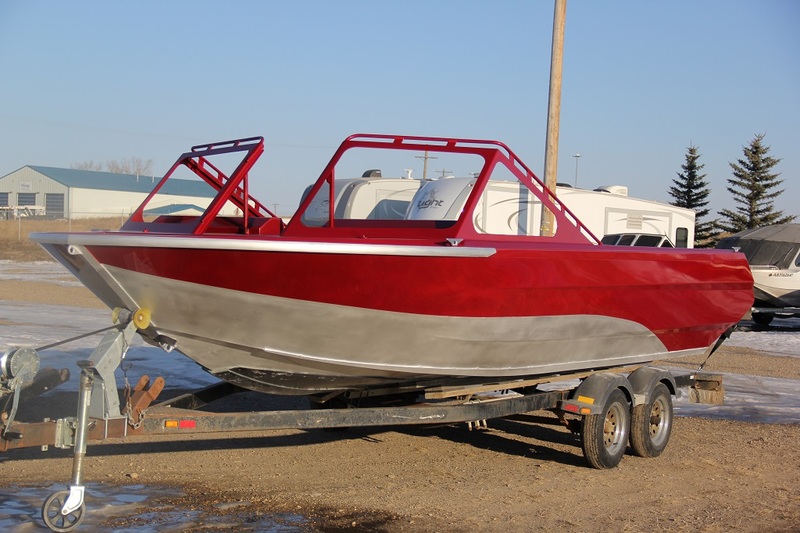 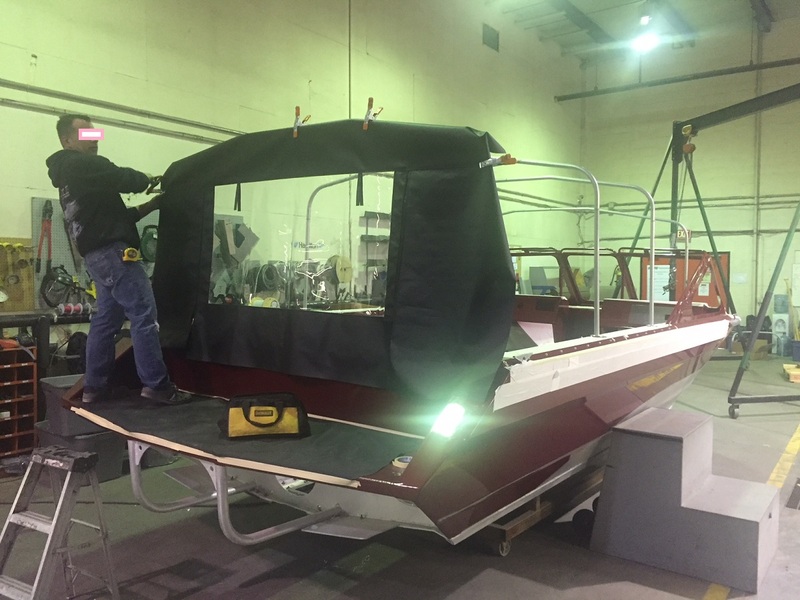 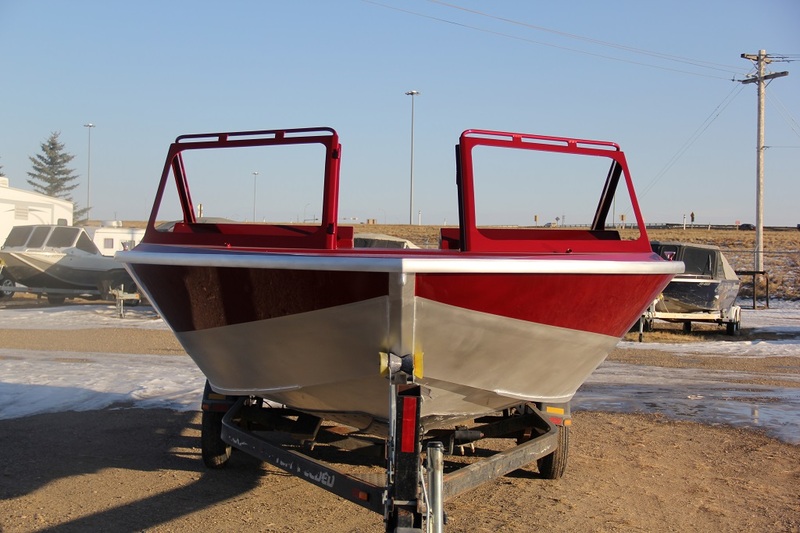 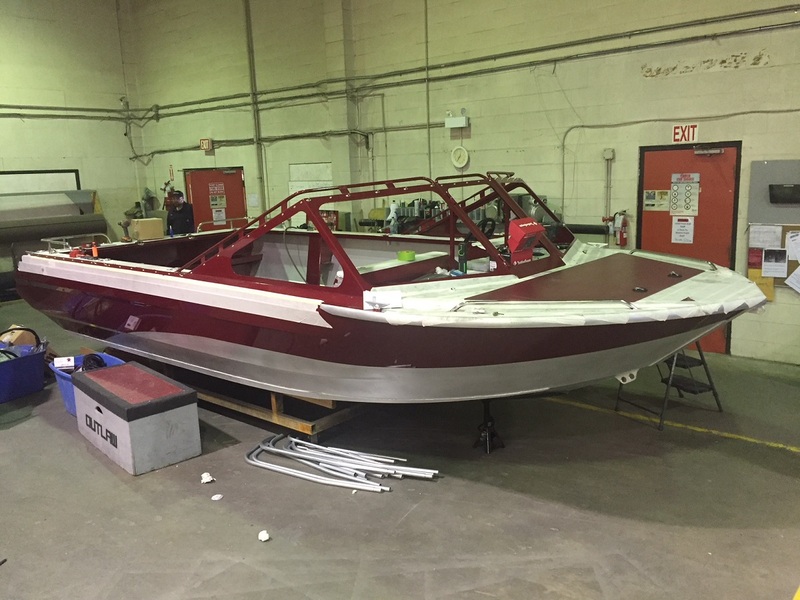 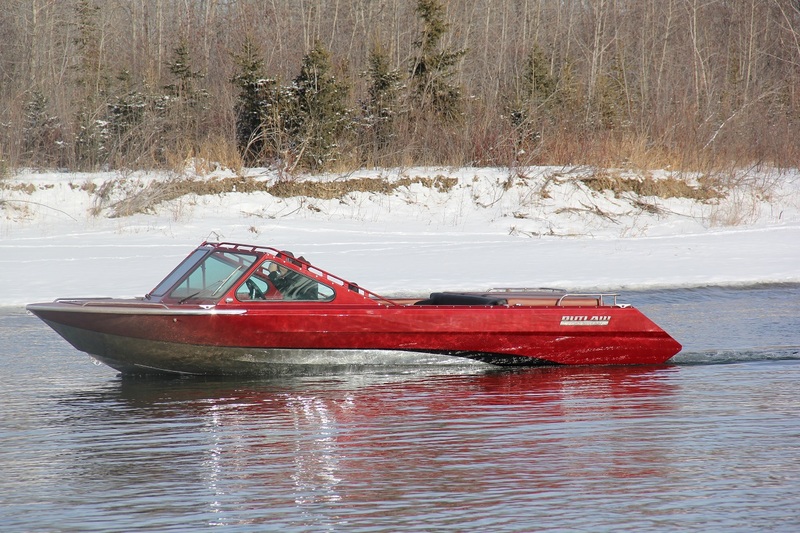 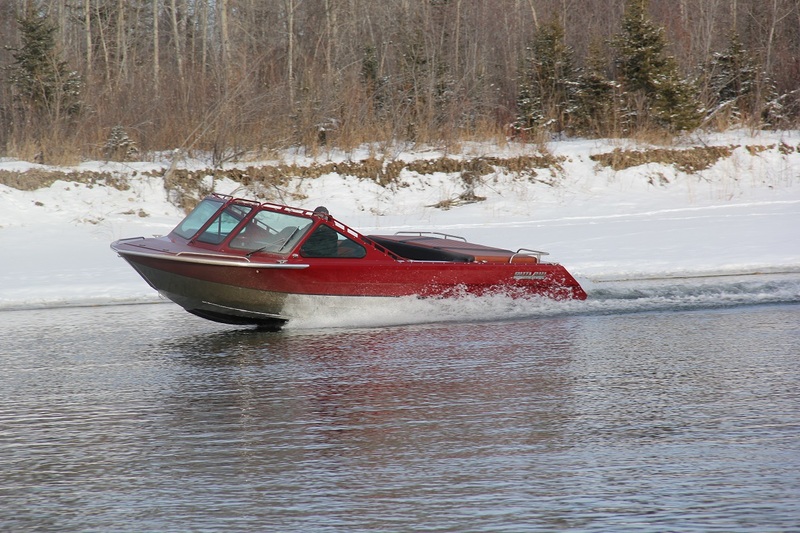 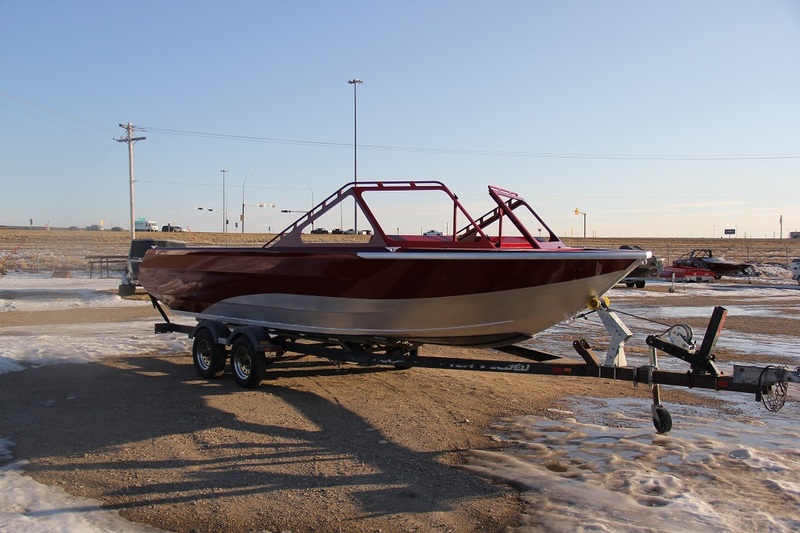 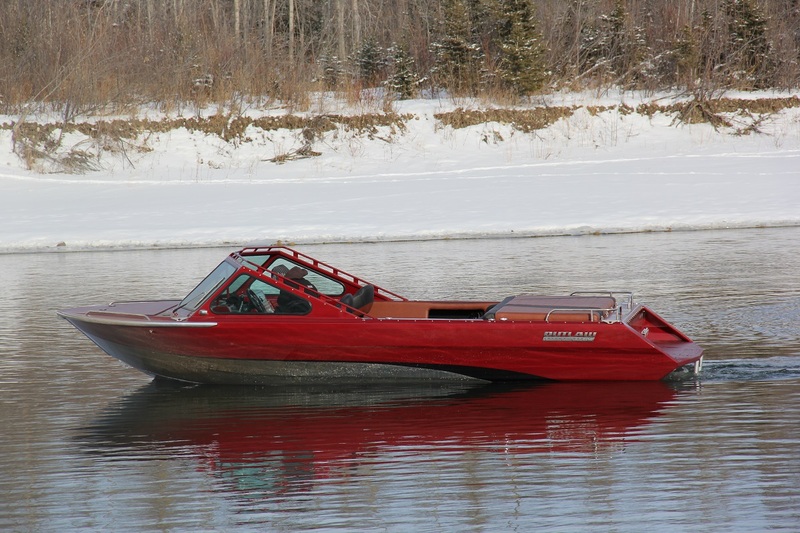 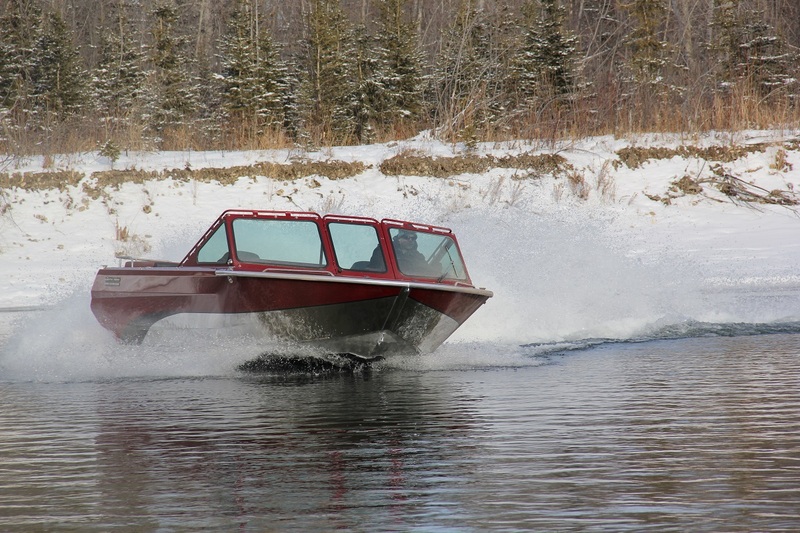 Red-Line Power Craft Muskwa is fresh out of paint, with a new Garnet Red w/ black flec. 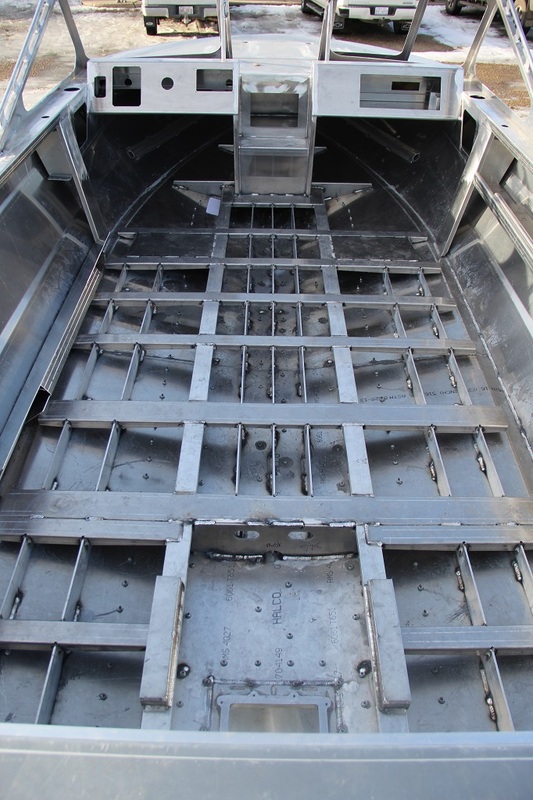 Next it's rigging, with full wrap around entertainment seating, front bolster seats and a full load of options. 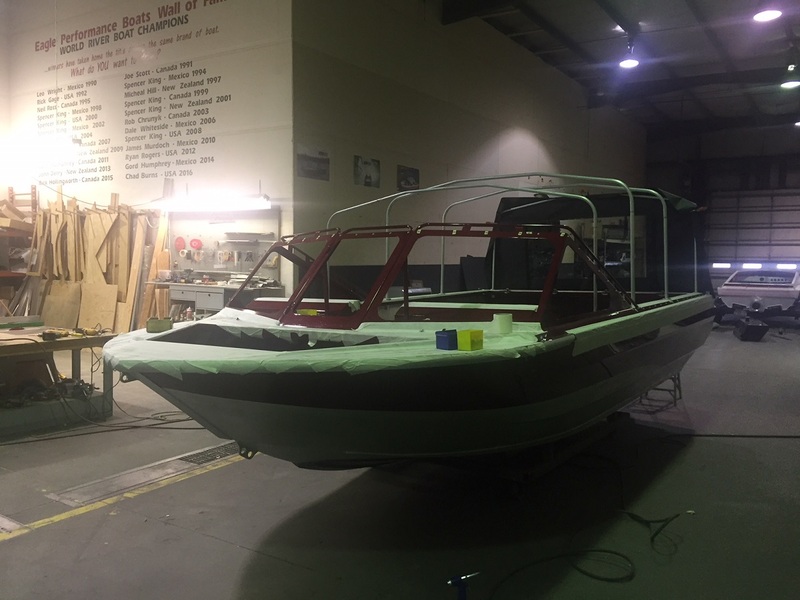 Any photos of the big whale in the water? 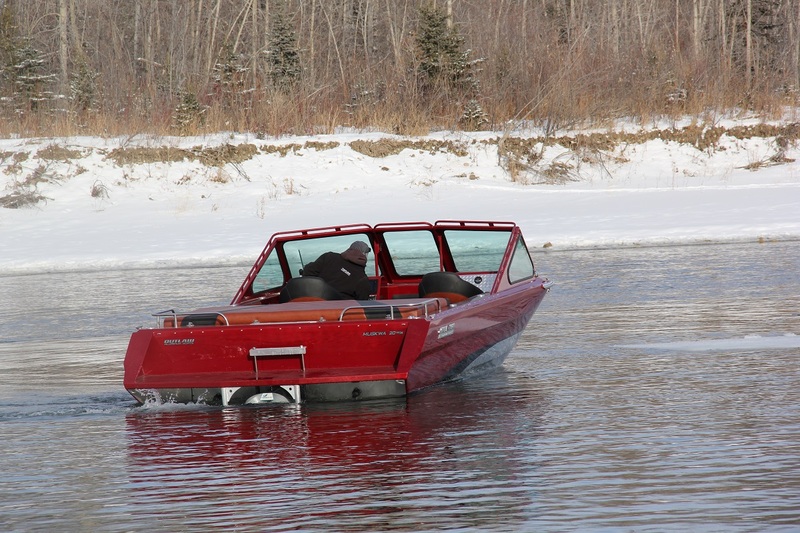 I'm wondering what she drafts at rest?